This Sunday marks the start of International Assistance Dog Week, a shout out to the dogs and handlers that have helped so many disabled humans take control of their everyday lives. Of course, we all know dogs contribute to human health in a multitude of ways – they help our immune systems, improve heart health, and thwart feelings of depression, to name a few – but for individuals with Post-Traumatic Stress Disorder (PTSD), service dogs give them a new lease on life. By providing emotional stability and an extra set of eyes and ears when they go out into the world, assistance dogs are scientifically proven to reduce symptoms of PTSD. Don’t believe us? Read on. Lower levels of social isolation/greater ability to participate in group activities. Less absenteeism from work due to health. 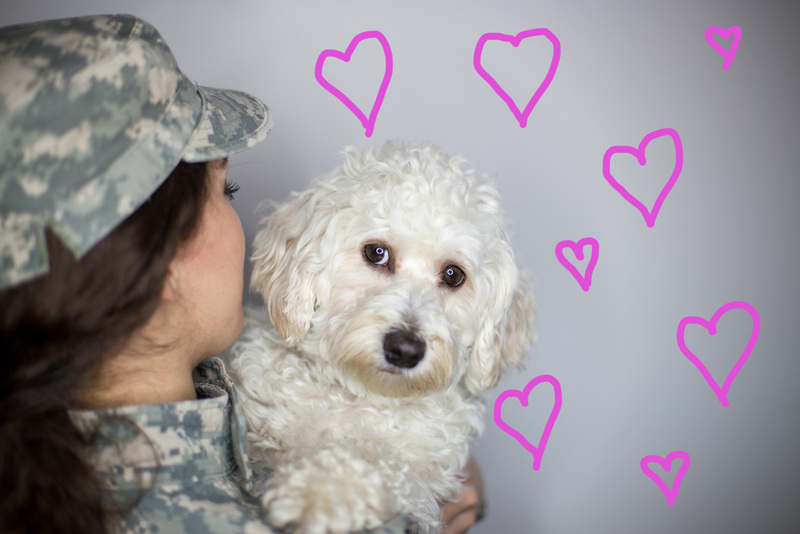 Doctors may use several ways to treat PTSD but, if you ask us, it sounds like a pupper may be the all-natural prescription every veteran should consider. If PTSD is a cause you care about, consider making a donation this week to one of the incredible organizations trying to make a difference in the lives of those who suffer. And if you’re part of one of these amazing orgs, give them a shoutout on our page! We’re all about petworking around here!